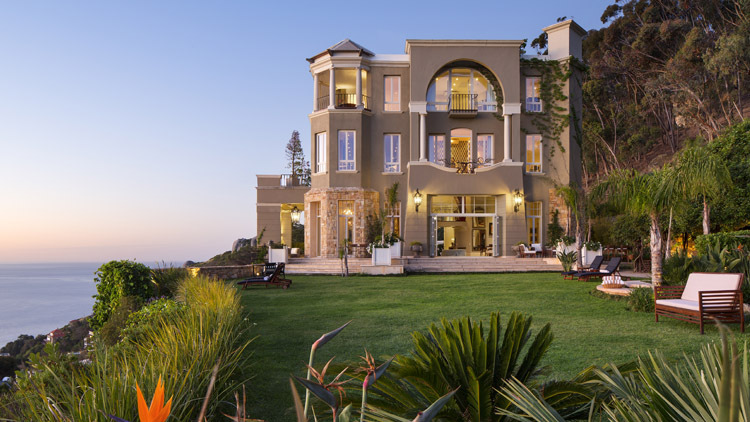 Despite Cape Town’s undeniable beauty, finding a guest house that could make you feel like you are completely out of place isn’t so easy. There are of course plenty of amazing places, but they are often in the middle of the city or by the beach within the touristic chaos.21 Nettleton offers its guests, a peaceful and luxury experience with breath-taking views throughout their entire stay. I visited this beautiful boutique hotel for the first time about a year ago, when I met Hamzeh Farahneh, the founder and designer of the BLAC bags, who also happens to reside at 21 Nettleton. As a woman (we of course love all things beautiful), I felt like a starlet as this place made me think of these Los Angeles « castles » that you can see in the 40’s Hollywood movies. Usually more attracted by modern architecture and designs with a more minimalistic feel, I strangely fell in love with the extravagant yet refined feeling of the place, where you feel like a movie star. The colonial style is mixed with a modern touch, with touches of color, which gives the place a timeless feeling where all perception of time vanishes to give the visitors an overall sensation of tranquillity and peace. Reading a book on a lounger by the balcony or by the pool takes you back in time where this kind of activity was the norm, but nowadays becomes a pleasure due to a fast moving world filled with electronics. Taking your time has become a luxury most of us cannot afford anymore. With only 5 suites available, 21 Nettleton is a very intimate and peaceful place. Most of you would certainly fall in love with the Presidential Suite. 250 square meters, a 360 degrees view and several balconies make this penthouse the ideal place for a honeymoon, a romantic getaway or just a holiday. 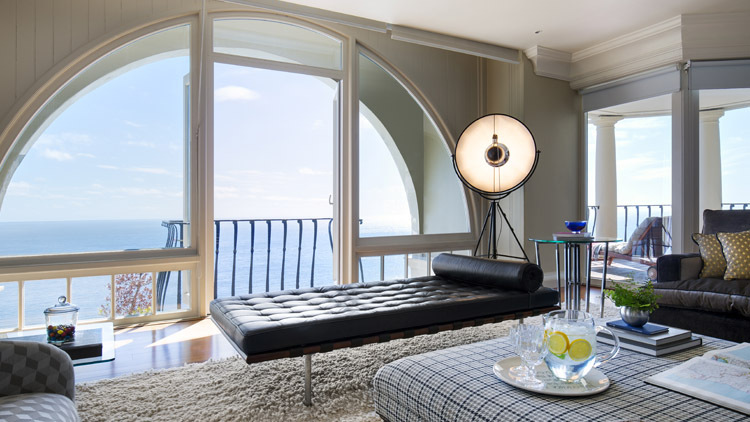 But despite the beauty and size of the Presidential Suite, I have to admit that even the smallest suites have an amazing charm, and I would even go as far as to say that I might prefer the Lion’s Head Suite. More intimate and cosy, but also smaller (45 square meter), something very bohemian and romantic emanates from this charming suite. Not a single detail is left out at 21 Nettleton, like high tea, canapés and cocktails for sunset, swimming pool, sauna, hammam and of course spa and massages (which I highly recommend). Only the guests can enjoy the restaurant in which lunches and diners are prepared exclusively on request. All the products are local and of course organic! For the wine aficionados, you will love Buitenverwatchting, a local vineyard only 30 minutes away with whom 21 is in partnership. Their wines are amongst my favorites in South Africa, and their restaurant is truly worth the detour. 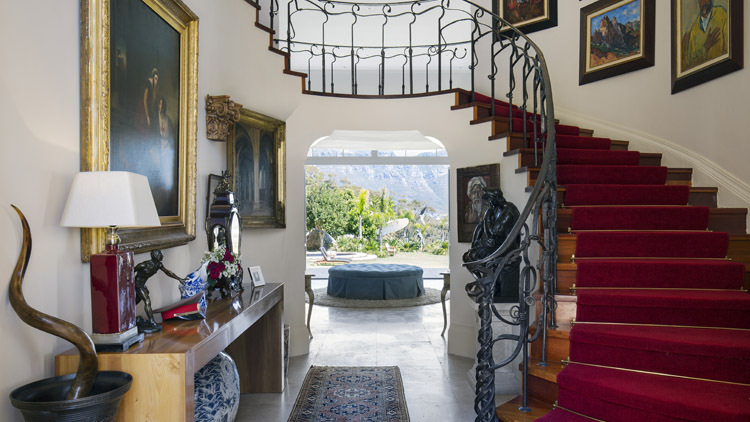 So for your next trip in Cape Town I highly recommend you take the time to plan a stay at 21 Nettleton where you will rediscover the simple little pleasures in life!